Create a project using the theme: Birthday! You have TWO WEEKS to play along - Deadline to enter is Friday, April 13, 2018 at Midnight CST. The winners will be announced on the NND blog the following Monday. Debbie Owens delights with this soft, sweet birthday card. 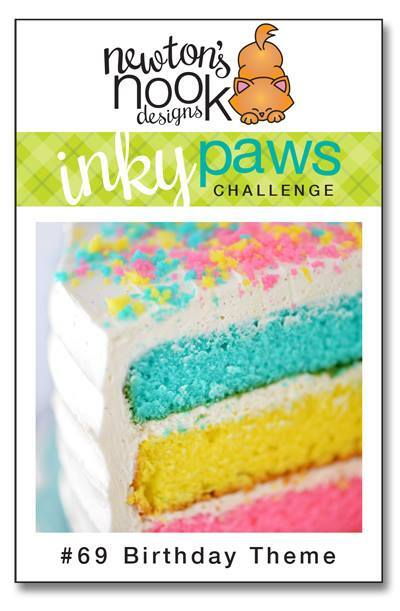 The festive papers work purr-fectly with the Newton Loves Cake stamp set. In addition, she uses the Frame & Flags and Balloon Shaker die sets. 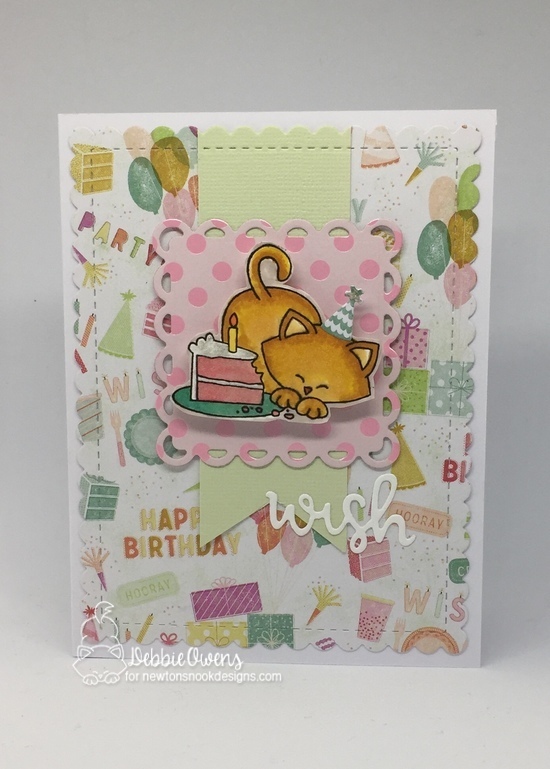 Diane Morales coordinates two stamps set to create this darling card! The martini glass is from the Cocktail Mixer stamp and die sets and is paired wonderfully with those cute olives from the Love Bites stamp set. Diane also uses the Land Borders die set. 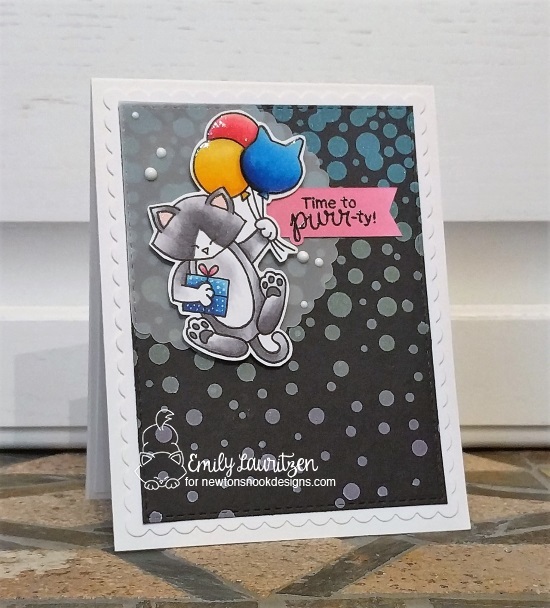 Emily Lauritzen creates such a fabulous background using the new Bubbly stencil. Her transparent cloud is a perfect touch for Newton from the Newton's Birthday Balloons stamp and die set as he sails by with a birthday wish. Emily also uses the Frames & Flags die set to frame her delightful creation! Zsofia Molnar has the right idea on celebrating a birthday. 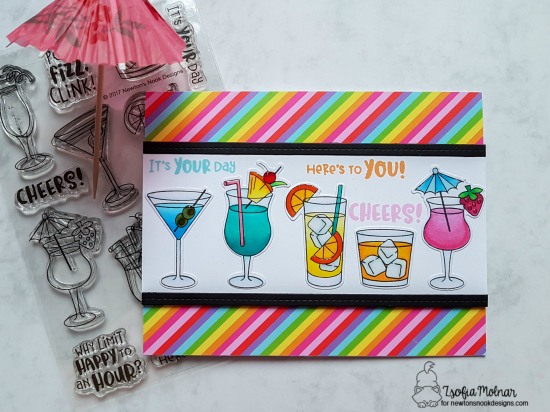 The bright, colorful striped background works wonderfully with those delicious-looking drinks from the Cocktail Mixer stamp set. Cheers! 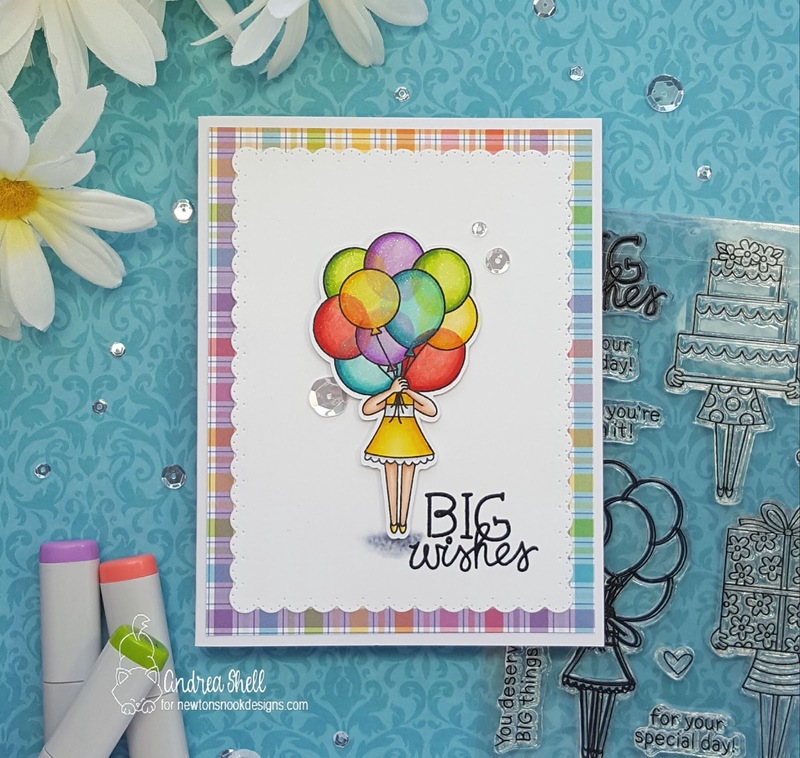 Andrea Shell beautifully showcases the new Holding Happiness stamp and die sets. I am in awe of how she colored her transparent balloons! Her background pattern paper pulls all the colors together wonderfully. Andrea also uses the Frames & Flags die set. Thanks for the wonderful design team creations and fun photo inspiration with the yummy colorful cake.